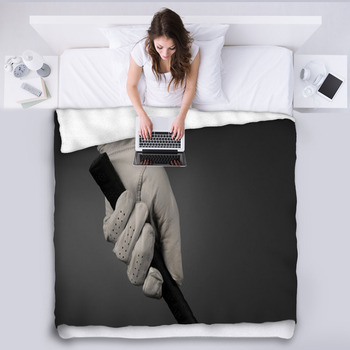 Golf isn't just a game; its an obsession. 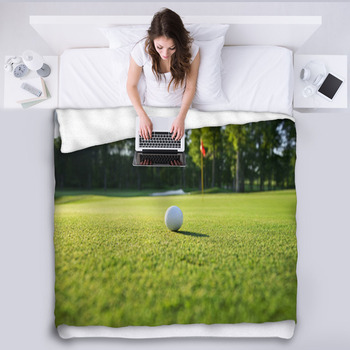 To be great at golf, you've got to visualize the perfect swing or a twelve-foot putt going in a thousand time before you do it, and having our fleece golf blankets in your home or office will serve as a great reminder that work is just the five days in between rounds of golf. 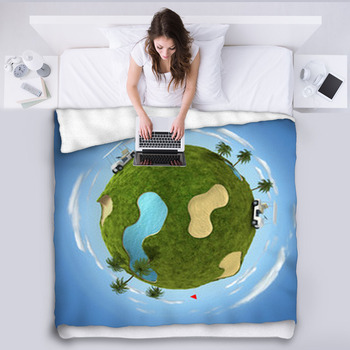 Which aspect of the game do you want to focus on? 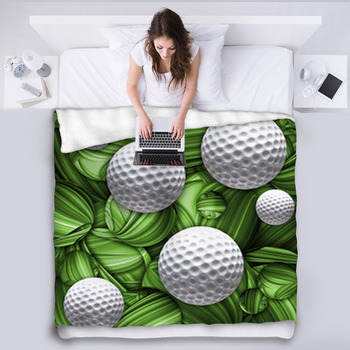 Choose a blanket displaying an illustrated golfer in mid-swing, the close-up of a ball about to be hit, or a ball rolling into the hole. 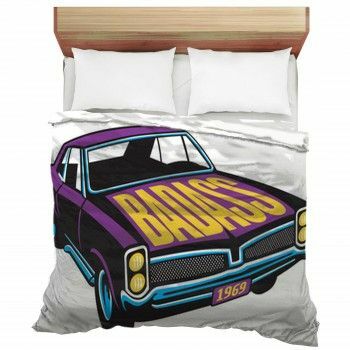 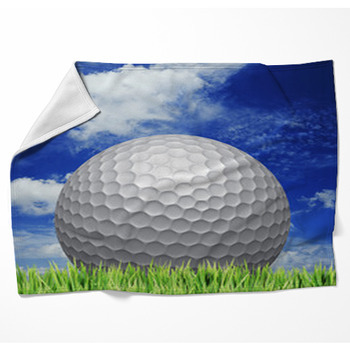 We also have a series of blanket designs featuring golf humor, such as golf ball wearing a visor, a golfer lying on the ground and trying to blow a ball that didn't quite make it into the hole, and a golf ball leaving behind a trail of flames. 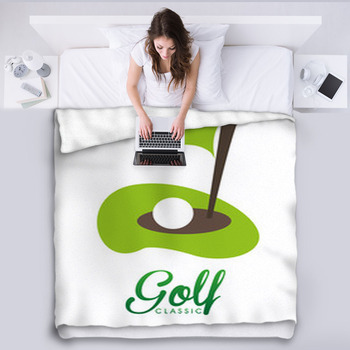 Golf is a relaxing activity mixed with eruptions of powerful drives. 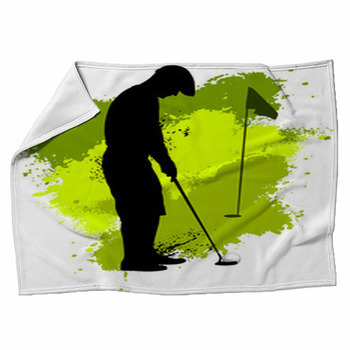 Part of the joy of golfing is pursuing your hobby in a beautiful setting. 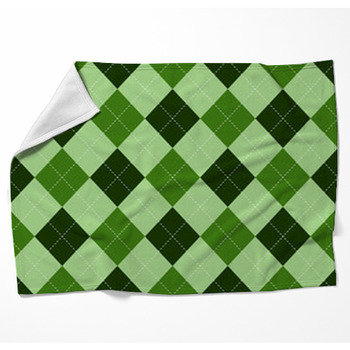 You can now enjoy the gorgeous vistas of golf when you're not on the course with our decorative custom golf blankets. 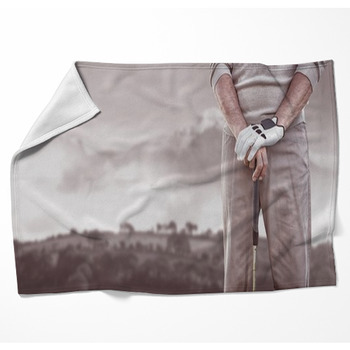 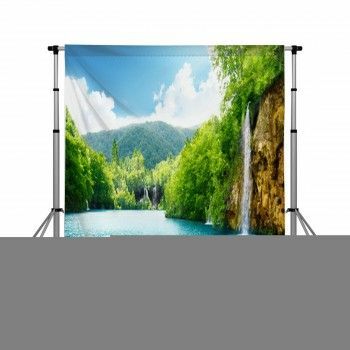 Choose a blanket design with the photographic image of pristine greens surrounded by serene trees, beneath a blue sky speckled with white clouds, as a driver prepares to hit a golf ball in the foreground and a yellow flag is just visible in the distance. 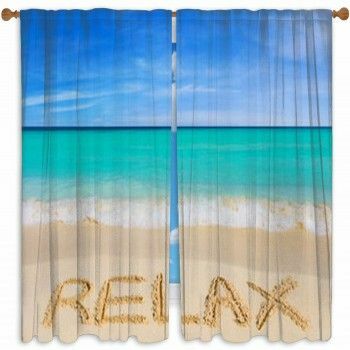 For a more exotic golf course on your blanket, we have a course overlooking the turquoise ocean, with green, rocky islands in the water, and a hilly golf course in the mountains at sunset. 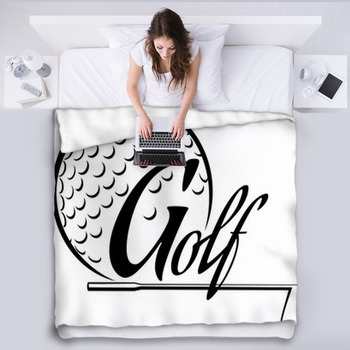 Lay a golf blanket on your couch or hang one on your office wall to quickly direct the conversation with your guests or clients to what you're always thinking about, golf.